WATSAN volunteers will be available for questions at our stand at Farmer Gow’s sculpture trail until 9th October. The commission arising from any art sales at the exhibition will benefit two charities, including WATSAN. The innovative art exhibition, Sculpture on the Farm, is an installation of nearly 300 works of art, including sculpture and paintings by local artists. 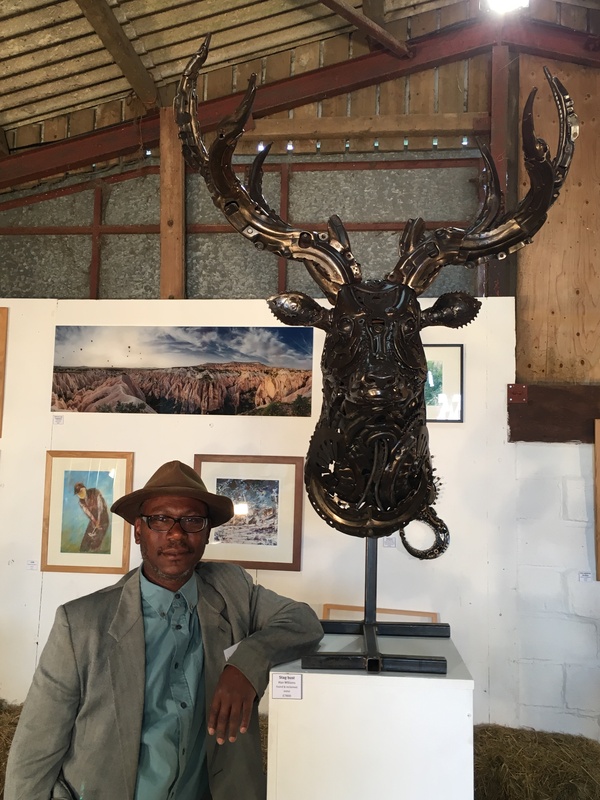 Sculptor Lendon Scantlebury (pictured below) has carefully drawn on his long experience as exhibition organiser to bring together an eclectic mix of artworks that form a fascinating trail among the animals and landscape of Farmer Gow’s. 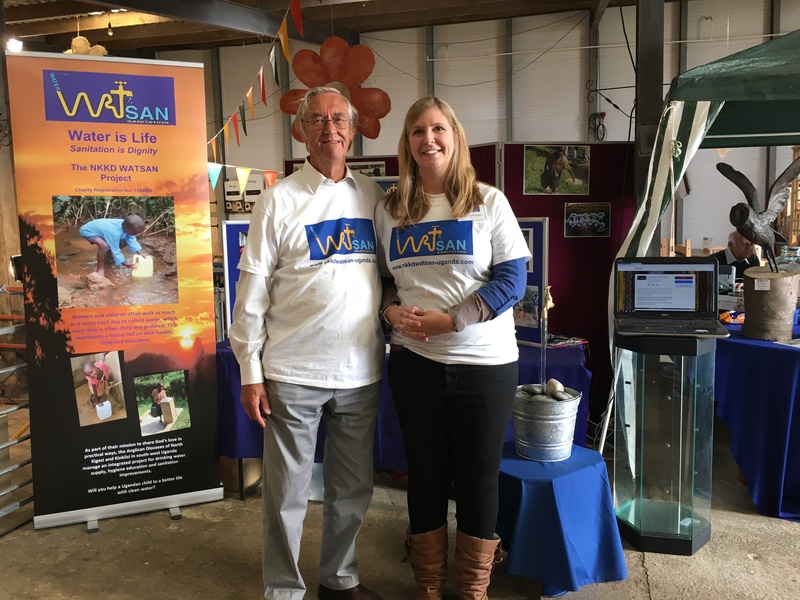 WATSAN trustees were delighted to attend the opening night of the exhibition on Friday 23rd September, where many guests visited our stand to discover our ‘magic tap’ and hear about our work in South-Western Uganda. Please do come and see us and enjoy this unique day out! There will be daily demonstrations of wood and stone carving by the artists – using local wood to create dynamic flora and fauna, and stone from distant Zimbabwe carved in intricate and beautiful designs. All the pieces on display are for sale, with 10% of the sales supporting WATSAN and Oxford Friends of Hope and Faith School. We are extremely grateful to Anne Gow, the farm’s owner, for this wonderful opportunity.